"We are what we eat" sounds true at first but, more accurately, we are what we eat, break down, absorb, transport to cells, use, and don't eliminate. TV commercials would have us believe that none of those are important and that: (1) Stomach acid is evil; (2) It is the only cause of acid reflux; (3) Acid-blocking drugs fix the problem; and (4) Those drugs can be safely used for years. Not so! (1) Stomach acid is our first line of defense against invading bacteria. It also helps to: digest protein; absorb calcium, iron, magnesium and zinc; produce vitamin B12; and absorb folic acid. Acid also triggers later stages of digestion and indirectly promotes beneficial intestinal bacteria. (2) Heartburn occurs because stomach acid gets into the esophagus where it doesn't belong. Period. Of the many reasons it does, excess stomach acid is the least likely cause. Surprisingly, especially in older persons, heartburn is often due to too little stomach acid. (3) Fine print in ads warns that acid-blocker drugs are approved to use for only 2-4 weeks. Given the crucial role of stomach acid, we shouldn't be surprised that long term use of acid-blockers is blamed for increased risk of hip fracture, dementia and pneumonia. Evidence also links them to asthma, osteoporosis, gall bladder disease, macular degeneration, obesity, and worse. After taking the drugs in a study, people with no previous heartburn became dependent on them. A person in pain wants to feel better fast. One effective first aid for acid indigestion is Aloe Vera juice. For millennia Aloe has been valued as a support for good digestion and for even healing the intestinal tract just as it helps heal our skin. Also, at least one study showed Aloe to be antifungal, meaning it would help with yeast overgrowth. In researching another book (on Aloe Vera), I learned that the magic of Aloe Vera is in its solids, especially the long chain polysaccharides. I also discovered that specific molecular weights of polysaccharides achieve specific benefits. The lower weights (10,000 - 100,000 Daltons) help with inflammation and skin regeneration. The higher weights (100,000 - 7 Million Daltons) support immune function, nutrient absorption, anti-oxidant levels, and healthy blood sugar. Unfortunately, unsophisticated processing often breaks these complexes into simple sugars that don't deliver aloe's benefits. In fact, independent University tests showed that while only a precious few brands are rich in polysaccharides, fewer yet contain the heavy molecular weights. Shockingly, some have none at all. That eye-opener inspired me to tell consumers how to get a good value. I recommend looking for a company that funds clinical trials on their products to prove claims. They should also control every step of the process, even growing their own organic Aloe leaves. Even better heartburn relief is achieved when a very potent Aloe is combined with herbs and minerals. Such a formula can buffer the effect of stomach acid without blocking it. A good stomach blend would contain herbs that have a long history of helping digestion. Ginger, Slippery Elm and Fennel are examples. If it also contained fructo-oligosaccharides (FOS) to support good bacteria and Pau D'Arco to inhibit yeasts, that would be even better. 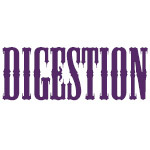 Digestion is the key to good health. Clearly, we must support it-not shut it down with an acid-blocker. Martie Whittekin, Certified Clinical Nutritionist, is a nationally-syndicated radio host, columnist, and author of Natural Alternatives to Nexium as well as Aloe Vera, Modern Science Shed Light on an Ancient Herbal Remedy.